Direction selection switches, other | Yutaka Manufacturing Co., Ltd.
We at Yutaka Manufacturing Co., Ltd. have made use of experience and technology in railway car connectors to manufacture other parts for railway cars aside from the connections between railway cars sector. Switches can be selected for either the front or rear of trains, for shuttle train operations. Since the direction of advance changes, a single switch needs to be able to perform switching between multiple circuits. For the switchable circuits, you can select from among 12 stages to 36 stages. We also have connector systems that can detach or attach wiring at one touch for chassis when performing inspections and repairs. 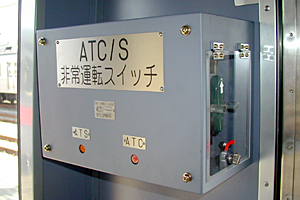 Direction selection switches for switching between the ATC and ATS devices essential for supporting train safety, insertion of fixed position stop assistance devices, and emergency operation during accidents, etc. 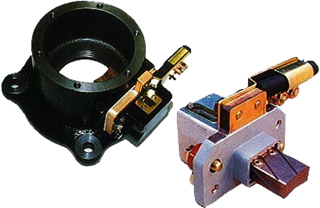 An electromagnetic lock for preventing error operation in the ATC and ATS switching is also provided. Select from 2 stages to 30 stages in response to the number of circuits. Device for sending the return current generated by the railway car onto the rail. 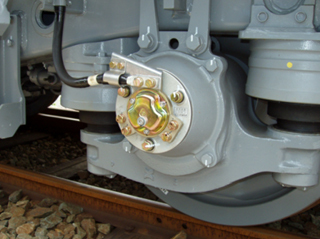 This restores the electric wire current to the ground surface, and protects the railway car bearings from electrolytic corrosion. Axial end type and axial peripheral type are available.